Michael R. Pompeo is the 70th U.S. Secretary of State. In his address, he shared his views on the role of the United States, and of the transatlantic partners, in the future of global security. 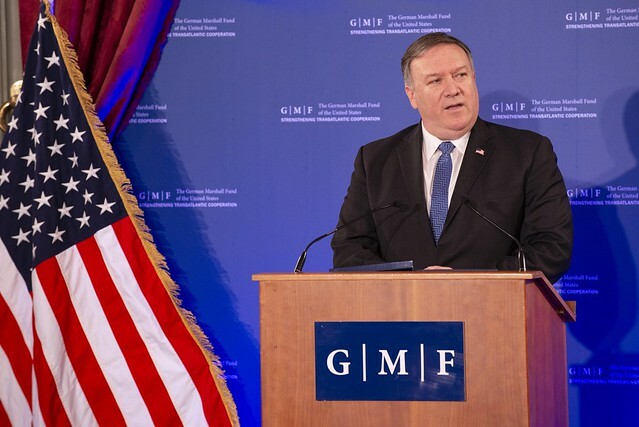 Read Secretary Pompeo's full remarks here. If you have any questions, please contact Sofiia Shevchuk at +3222385284 or sshevchuk@gmfus.org. Media registration starts at 9:30 a.m. Doors close promptly at 10:30 a.m.
Keynote address starts at 11:00 a.m.